Charli XCX is working with Paris Hilton. The 'After the After Party' hitmaker managed to secure the 35-year-old DJ for a special project she is working on. 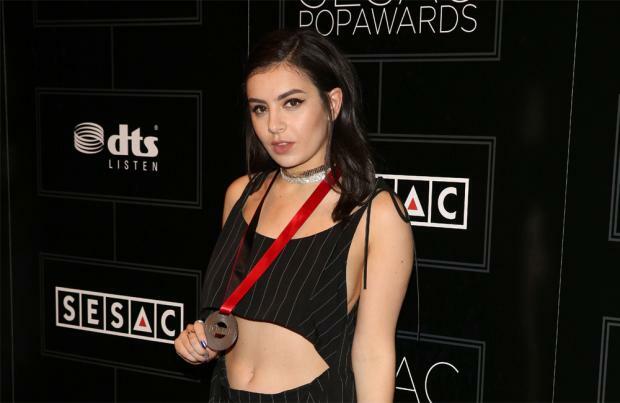 Charli - who has dreamed of working with the blonde beauty for some time - is no doubt thrilled she has secured Paris to feature on a mixtape she is creating, the Daily Star newspaper reports. It comes after the 24-year-old singer admitted she had been inspired by 'The Simple Life' star. She revealed: "I've been really inspired by Paris Hilton, small dogs and a glitter, luxe lifestyle. I've never met Paris before, but we were both at the amFAR Gala during the Cannes Film Festival this year. I was performing and I saw her singing along to my song and I freaked out. I'm such a fan and one of my favourite songs ever is 'Stars Are Blind' - it's pop genius." And Charli dreams of getting to perform with the heiress. She gushed: "I'm such a Paris Hilton fan. She's very intelligent and one of the first champions of celebrity culture. She was ahead of her time and her 'Stars Are Blind' track is an incredible pop song." Charlie was amazed when she found out Paris was a fan of hers. "Paris Hilton has always captivated my brain, very much so. I think she's like the original Barbie and super wonderful. And really Bill Murray I think he's hilarious and great and fit." And Paris previously teased a collaboration between the pair, admitting they had been in contact. She said: "I have been talking with Charli XCX and she is so sweet. We have been emailing and she wants me to do a music video with her. I love her music and I'm really excited to get together with her."